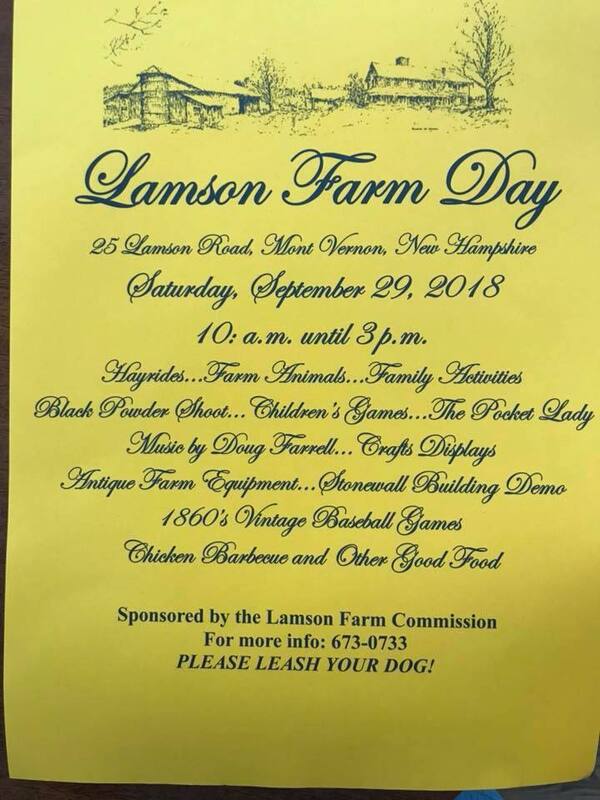 If you are looking for some outdoor fun this weekend, head out to Lamson Farm Day in Mont Vernon, NH, the birthplace of Doc Adams. Lamson Farm Day will be held on Saturday and the weather looks to be spectacular. In 2017, the Inaugural Doc Adams Invitational was held in Doc’s hometown of Mont Vernon, New Hampshire. This year, Mont Vernon is pleased to add Vintage Base Ball to their annual Lamson Farm Day. Lamson Farm Day, the last Saturday in September, is a Mont Vernon day of festivity at the Lamson Farm with displays by various groups in town. 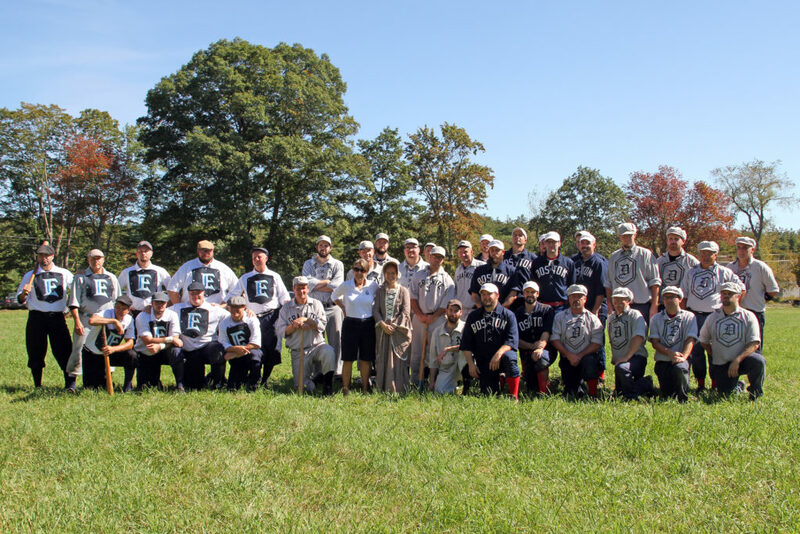 Two Vintage Base Ball games will be played between the New Hampshire Granite and the Providence Gray Vintage Base Ball teams. The first match of 1860’s style ball will start at 11:00 am the second at 1:00 pm. Between the games there will be a presentation of new Doc Adam’s signs recognizing Mont Vernon as Doc Adams’ birthplace. The signs will be attached to the Welcome to Mont Vernon signs on Route 13 at approximately 3:00 pm.